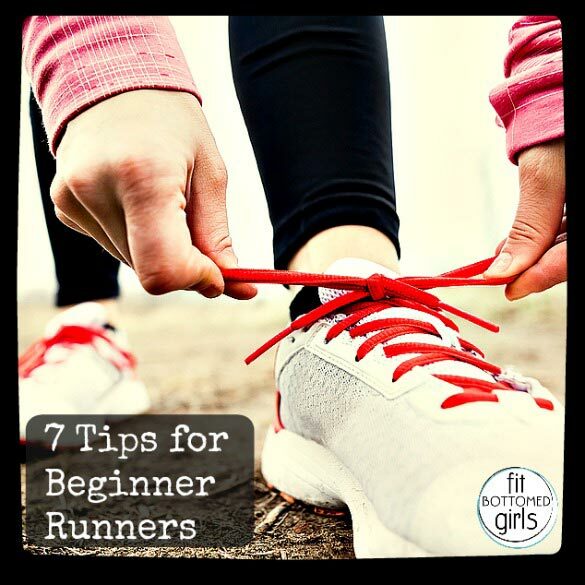 Today’s post with tips for beginner runners is provided by Life Fitness, one of our favorite providers of fitness equipment. For more fitness advice visit www.lifefitness.com or follow them on Twitter or Facebook. Do you have dreams of making this the year you put down the TV remote, step away from the couch and make running a favorite pastime? You could be running three consecutive miles in just two months — now that’s a goal worth working towards! If you’re a beginning jogger, these tips from the fitness experts at Life Fitness can help make your running dream a reality. 1. Walk before you run. For the first four weeks of your new running regimen, take a five- to 15-minute warm-up walk before breaking into a jog. 2. Set a routine. Ease into running by sticking to a schedule. Try to run or walk three times a week to get yourself used to a regular regime. 3. Stretch after a workout. Tight and shortened muscles are more at risk for injury. Adding one day of yoga to your weekly routine is a great way to add flexibility to your running plan. 4. Give your muscles and tendons a chance to adapt to running. Avoid running two days in a row for at least the first month, and listen to your body. If you have sharp pain, soreness that won’t go away or you’re feeling unusually tired, reconsider running that day. Accept and appreciate the fact that not every single run can be a good one. Instead, use these days to focus on stretching your muscles and re-energizing for your next cardio session. If any irregular conditions persist, consider seeking medical advice. 5. Mix it up. Hills are a great way to challenge your muscles and make running interesting. Use the incline feature on your treadmill and see how many hills you can climb. This will increase your heart rate and challenge your muscles. Cross-training is another way to challenge your muscles while training your cardiovascular system. Try trading a running day with an elliptical or a stationary-bike workout. 6. Take your pulse daily. Heart rate monitors are available on many pieces of cardio equipment. When monitoring your heart beat, if there is a significant increase in your usual resting pulse rate (five to 10 points), this could be a sign that you’re over-training, fatigued or potentially catching an illness. Regularly tracking your heart rate provides a good indication of your healthy heart-rate zone and will help you identify a considerable change. 7. Take walk breaks. If you’re still working up to long-distance endurance, try alternating one minute of running with one minute of walking. Work your way up to eight-minute run/walk intervals. It’s all about pacing yourself and building up endurance. If you start slowly and listen to your body, you’re less likely to suffer injuries and more likely to stick with your running program. Soon you’ll be motivated and confident enough to enter your first 5K! By keeping at it, you can — and will — become a runner! Great tips for the beginners. Thanks for the great tips. I used to be an avid runner but years of full-time school have taken their toll. I’ll keep these in mind as I get back into it! I find that when I start a long run slow, I usually can put in a few miles faster than I ever have before. So starting slow is definitely a good idea. How long/far should the beginner run at the first time? Definatly when just starting running the most important thing to remember is to not push yourself too much. I know so many people who haven’t run in years and then hurt themselves because they run non stop ( one more minute!,I can do it ),don’t take breaks and then hurt themselves. Oh and stretch! You should spend atleast 15 minutes streching,you won’t believe how many people rush through it or don’t do it all all. Interval running is something I highly recommend if you want to lose weight and there are so many other benefits including that it keeps it fun when running can get boring. This is really a great post to motivate and help women to lose weight while running, doing their cardio, and keeping their hearts healthy. Well to be honest strength training is also very important and lifting weights. Maybe you can check out this link: http://goo.gl/sZULSh at our health magazine IProMag to know why women should start to lift weights.